At Metropole, we offer dependent expert advice for high net worth individuals and their families, professionals and business owners. We know that attaining wealth doesn’t just happen – it’s the result of a well-executed plan. We offer you the kind of guidance and support that contributes to seamlessly combining the essential financial areas of your life, by helping you create wealth through property in Melbourne. 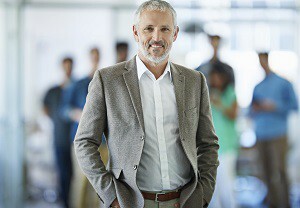 Whether you are a business owner, a professional or a high-income earner, we can provide you with an individually tailored solution which integrates the core disciplines of taxation, superannuation and property investment and interweaves these with finance, asset protection, succession and estate planning, personal risk insurances and philanthropy – we are full-service strategic wealth advisors. Using our depth of skills in these core disciplines, we adopt a coordinated project management approach and access other specialists as needed, to further enhance our integrated advice solution. Freeing up your time so you can focus on the things you love: your business, your life, your family and your passions. Laying the foundation of the legacy you’d like to leave behind. Metropole wealth advisors Melbourne offer independent expert advice for high net worth individuals and their families, professionals & business people. If you want to be confident that you and your family’s financial future is secure, but you don’t necessarily have the time or expertise to manage your investments or maximise your returns, Metropole Wealth Advisors Melbourne can develop a tailored solution for you. Before we recommend any investment strategies, our strategic wealth advisors take the time to fully understand your unique situation, life goals, the relevant family dynamics and any existing financial structures. By understanding your financial goals, your aspirations and needs, the purpose of your wealth, your priorities and your “end game” we can tailor a private wealth solution specifically for you. Metropole’s strategic wealth advisors know that building and maintaining a successful business in today’s rapidly changing environment is a balancing act. Working closely with your management team, our Melbourne wealth advisors gain a thorough understanding of your business and industry and provide specialist knowledge and objective advice to help your business reach its full potential. Or Melbourne wealth advisors help busy professionals such as doctors and other health professionals, solicitors and accountants by providing sound strategic wealth planning and business advice, leaving you free to pursue your profession or your passions. If you’re looking for independent strategic wealth advice from a team of proven experts you, call Metropole now on 1300 20 30 30 to discover how on of our Melbourne Wealth Advisors can help you – now and in the future. It all starts with knowing where you want to go, then figuring out how to get there. That’s where we come in, as a partner to help you prioritise your goals and devise a wealth creation plan to reach them. We’ll work closely with other professionals to you to give you the best possible chance of achieving your financial goals. First, let’s figure out who you are, what you want and what you need. 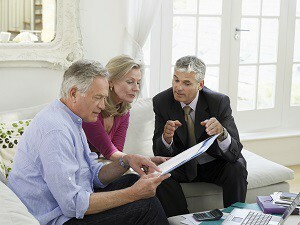 We help high net worth clients, professionals and business people achieve their financial goals, create lifetime wealth and leave a legacy, but it all starts with a conversation with one of our strategic wealth advisors about where you are today, where you want to be, your time frames and your risk profile. Together, we can develop a realistic plan geared toward your priorities, focusing on those goals that are most important to you, and help you weigh the decisions along the way that can strengthen your wealth plan and address the potential risks. For those clients who require ongoing project management of their strategy, our strategic wealth advisors will provide ongoing support and coordinate with other professionals such as your accountant, finance broker, lawyer and property strategist, to ensure you are achieving your goals. Metropole Wealth Advisory Pty Ltd provides certain advice including Superannuation advice under Patron Financial Advice AFSL 307379.